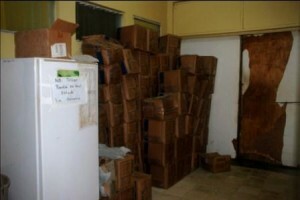 The race was on to have everything ready for the Roatan Hospital Benefit Concert, August 26, 2010. 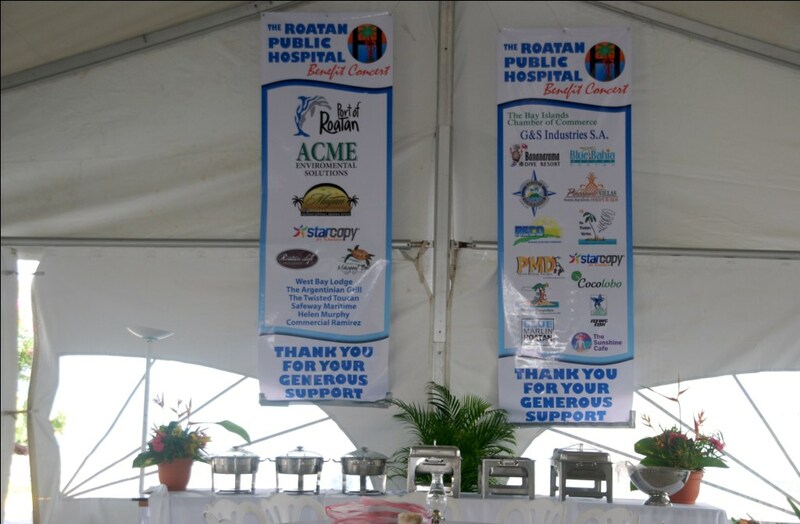 Almost three months ago the call went out for volunteers to help organize and set-up for a fund-raiser for the only public hospital on Roatan. At the first few meetings, the plan was laid out. The atmosphere enthusiast, yet calm…we have lots of time. 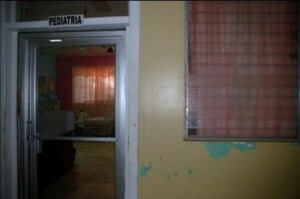 I went to the Roatan Hospital to take some pictures, give people a feel for how desperately they need community support. 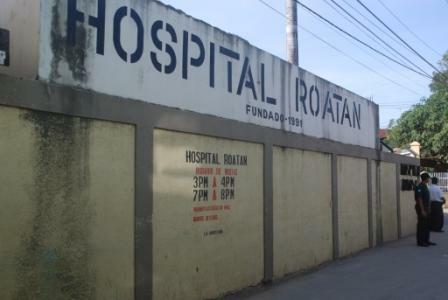 I had been there a few times before and had seen first-hand the conditions, so I wasn’t surprised by what I photographed…but I was still amazed at what the health care professionals had to work with to care for the people of Roatan. And I am always in awe of what they manage to achieve. It wasn’t too busy on the day I walked around with my camera. There were a few people waiting to be seen on this day that I took the pictures. They lined the hallways, sitting with children on laps. A few people in the emergency area having their medical needs tended to. 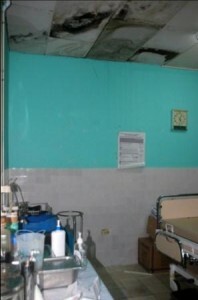 I shot photos of paint peeled off walls, and chipped from baby cribs in paediatrics, mouldy ceilings, and stacks of supplies crammed in every available space. I didn’t want to intrude on people’s privacy so avoided taking pictures of them. 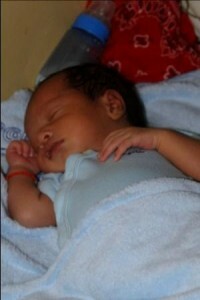 But one new mom did graciously allow me to snap a picture of her new born son. The Roatan Hospital Concert date that seemed so far away was suddenly only a week away. The notes I had scribbled down of things to do had turned into pages and the challenge was on to get it all done in time. Before I go any further I want to note that I was only one of the many committee members and volunteers who were giving their all to bring this together. We were a team with a common goal. Each morning I woke, my day’s plan in-hand, check emails, revise day’s schedule, make phone-calls, receive phone-calls, and head out. I drove into neighbourhoods that I didn’t know existed and had the pleasure of meeting people I had never met before. A whirlwind of activity that started at 7 AM each morning and didn’t end before 11 PM each night. A few days before the big event I had to make a stop at the Roatan Hospital to pick something up for the concert and I was blown away by what I saw. The halls were jammed with people waiting patiently to be seen. In the emergency area I saw people being treated for every injury imaginable by dedicated health care professionals who did the best they could with less than adequate supplies. They were calm and companionate as they struggled to meet everyone’s needs. I would be told that this was a typical day at Roatan Hospital. What I had witnessed on the day I came to take the pictures was not. That evening, I lay in bed, trying to convince tomorrows list of things to do to stop swirling around in my brain and let me go to sleep. And while my brain wouldn’t cooperate—it has a mind of its own don’t you know. I was worried I wouldn’t get everything done in time. I was frustrated by having to put off other things I wanted to do. I was heartbroken by what I had seen at the Roatan Hospital that day. 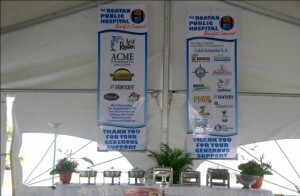 Thank you everyone for your support, assistance, donations, sponsorship, and for attending the Roatan Hospital Concert! Let’s do it again next year! And one more note: Davey, I’m so proud of you! Your list was way longer than mine and what you pulled together was truly amazing! genny, this is so good. 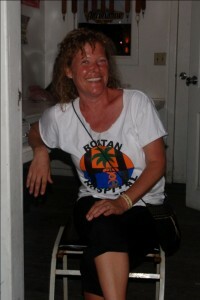 it really is refreshing and good to see hear you speak of the common good for roatan. 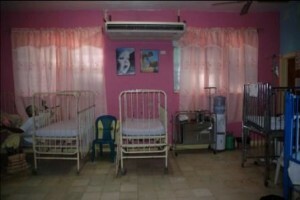 there are so many needs here and i am proud of you for your help at the hospital. if i would say what makes me happy it would be this: thinking of others. having an ‘other-focus’ is so liberating because it makes it see that there are others who have greater need, and the joy in giving out weighs the service to them. what a blessing! Would have loved to have been there and help with this fundraiser. Looks like it was a great success thanks to all the volunteers. Maybe you’ll be on Roatan for the next one Karen! Would love to have your help.